The Youngest DJ in The UK? We're not sure is the answer but at seven years old he is the youngest student to come to DJ Gym to date. Will your child break the record? Our 1-2-1 courses are perfect for teaching any age student how to DJ or produce. If you want to ignite a passion in music in a little one, DJ Gym is the place to come. We have studios in Birmingham and in Oxford and will soon be opening in Manchester. If you're looking for DJ lessons for kids in your area we won't be far away. 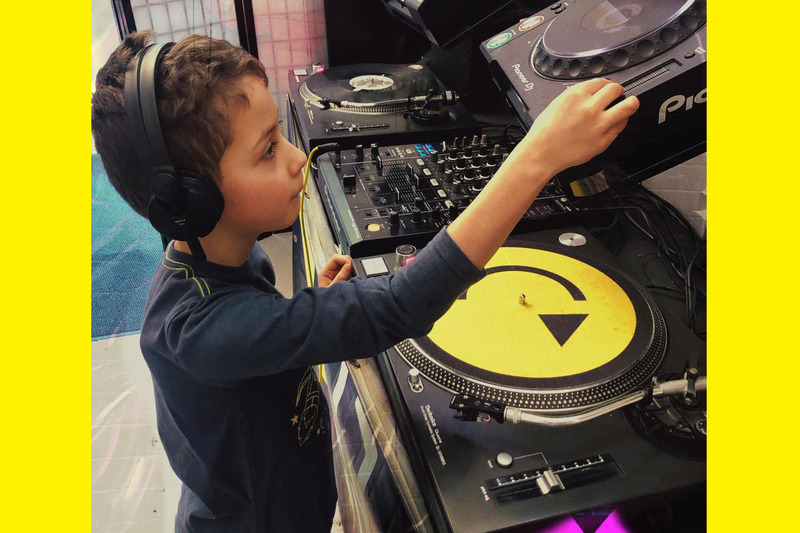 If you're looking for DJ lessons for children in London check out our partner London Sound Academy. They also offer 1-2-1 DJ courses for all ages. How DJing can increase your child's intelligence. Learning how to DJ or produce music will help your child advance their general intelligence, dexterity and musical abilities. Music is proven to improve many parts of a child's education, you can learn more about the almost magical affects of music on the brain here with this short YouTube video. Is DJing like playing an instrument? Yes, learning how to DJ is akin to learning how to play a musical instrument. Learning how to produce music goes one step further because you're also learning how to compose music. In fact you learn how to compose with multiple instruments like a one-person band. How old do you need to be to be a DJ? You can DJ at any age. The youngest person I have taught privately to DJ was two years old, but of course this very basic skills at first, like learning how to press a button on a beat or to a tempo. Ultimately there is no age limit to DJing and music production. The earlier you start the better. If you would like to enrol your child on our DJ or music production course just contact us.